The work of the late Canadian artist Carl Beam (1943–2005), of mixed Objiwe and American descent, presents a confrontation and a challenge to limited thinking of all kinds. Beam’s pioneering art, which was honored with the Governor General’s Award for Media and Visual Art in 2005, demands that the viewer look anew at people, objects, events, icons, stories and histories, and explore ways of interrelatedness that they might not have considered or been trained to see before. Simultaneously, Beam’s work suggests and reveals the violent and brutal results that arise from marginalizing mechanisms and belief systems propelled by intolerance, disrespect, radical simplicity, unquestioned tradition, power and greed. 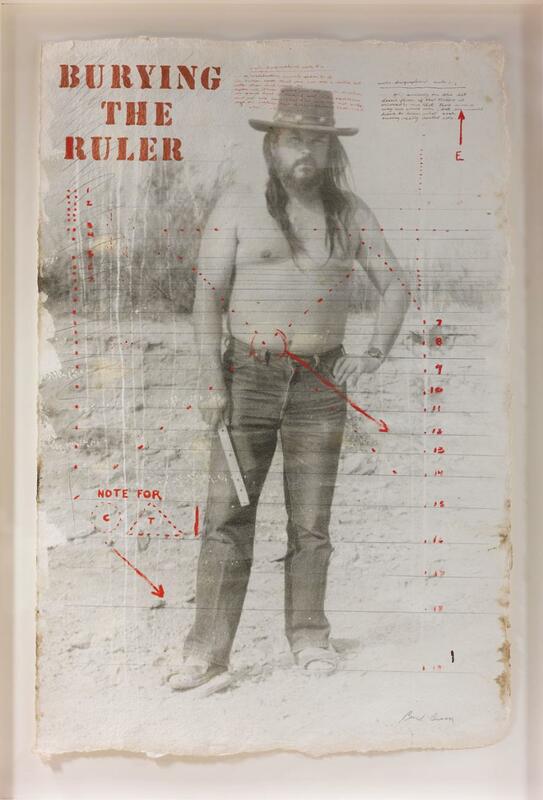 Since the late 1970s, he has furthered intellectual and ethical discussion not just on the ongoing marginalization of Indigenous peoples, worldviews and belief systems, but also on the gap between mainstream and contemporary Indigenous art. When the National Gallery of Canada acquired Beam’s monumental mixed media work The North American Iceberg for its contemporary art section in 1986, it was instrumental in bringing renewed recognition for the importance of contemporary Native art or, rather, as Beam himself insisted, of contemporary art by artists of Native descent. History, as an ideological device at work on a personal and a global level, constitutes a major theme in Beam’s work. Often, Beam rearranges existing narratives of history, divorcing images and events from their “original” historiographical contexts and opening them up for renewed scrutiny and significance. The artist himself frequently appears through the insertion of autobiographical remarks or representations of himself into the work; he highlights the individual/artist’s position and role in the world and its systems of representation and signification. If the simplifying force of these systems is revealed in this manner, Beam’s work also suggests their great power. The process of meaning-making is a devastating and destructive force when it creates falsehoods and imposes limited and damaging traits on people, but it can also act as a powerfully creative and inspiring force when it brings different worlds of seeing and knowing together. Beam’s demand of viewer-participation in the tasks of interpretation and (re)construction of histories and interhuman connection also implies a questioning of the formation of memory. This question extends from personal memory to the constitution of collective or national memory – a matter which Beam investigates through inquiries into public memorialization and commemoration. 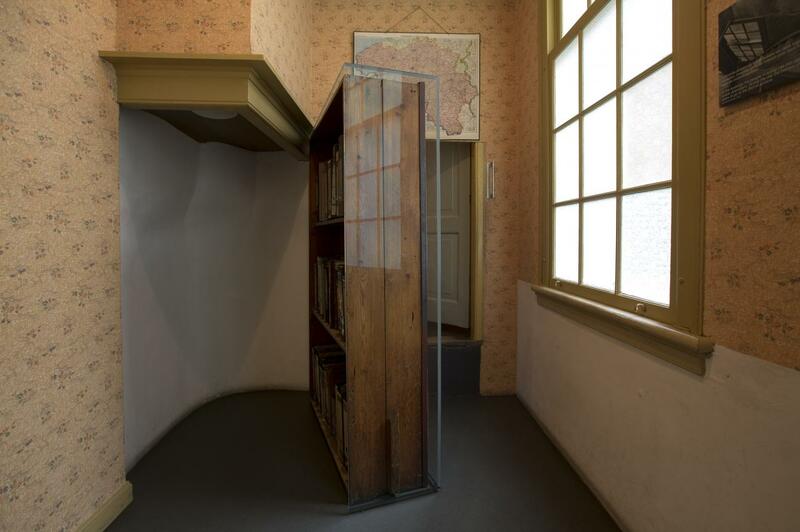 It is from this perspective that the art work that is central in this essay, Carl Beam’s Anne Frank, 1929-1945, acquires meaning. In 1980, Beam traveled to the American southwest and began an exploration of the ancient Mimbres and Anasazi pottery tradition. Greatly energized and inspired by the possibilities that the tradition offered, Beam explained, “the hemispherical quality of a large bowl still excites me like no cup, teapot, plate or other clay shape can do…it is a universe unto itself where anything can happen – the designs are limitless.” The Anne Frank bowl is one of several artworks that came out of Beam’s embrace of Indigenous pottery traditions. It carries a representation of Anne Frank in white and brown, amidst stylized parallel curved lines and zigzag patterns in white, brown and blackish-brown. Beam’s inclusion of the German-Dutch Jewish girl Anne Frank in his work, one of the most famous icons of the mass murder of the Jewish people during the Holocaust perpetrated by the Nazis, is no easy citation. Referencing the immense pain, trauma and shock inflicted upon so many millions of people, the iconography is inevitably heavily loaded. By bringing the Holocaust into the realm of indigeneity as an artist of Native descent, however, Beam endows his bowl with additional complexities. After all, Beam’s particular commemoration of Anne Frank implies a comparison between the genocidal violence against Indigenous peoples under colonialism on the one hand, and the Holocaust on the other. This comparison occurs despite the fact that production of the Classic Mimbres bowls is commonly claimed to have ceased at around 1130 AD; our contemporary knowledge of the devastation that was unleashed in the American Southwest and the New World in general with the arrival of the Europeans cannot simply be put on hold. Considering Beam’s usage of Anne Frank, it is immediately clear that a competitive approach leads nowhere at all: the bowl would instantly become a simple work of terrible cynicism and complaint which, although justified, would be no more than that: a complaint at the lack of recognition and public commemoration for the Native (cultural) genocide. 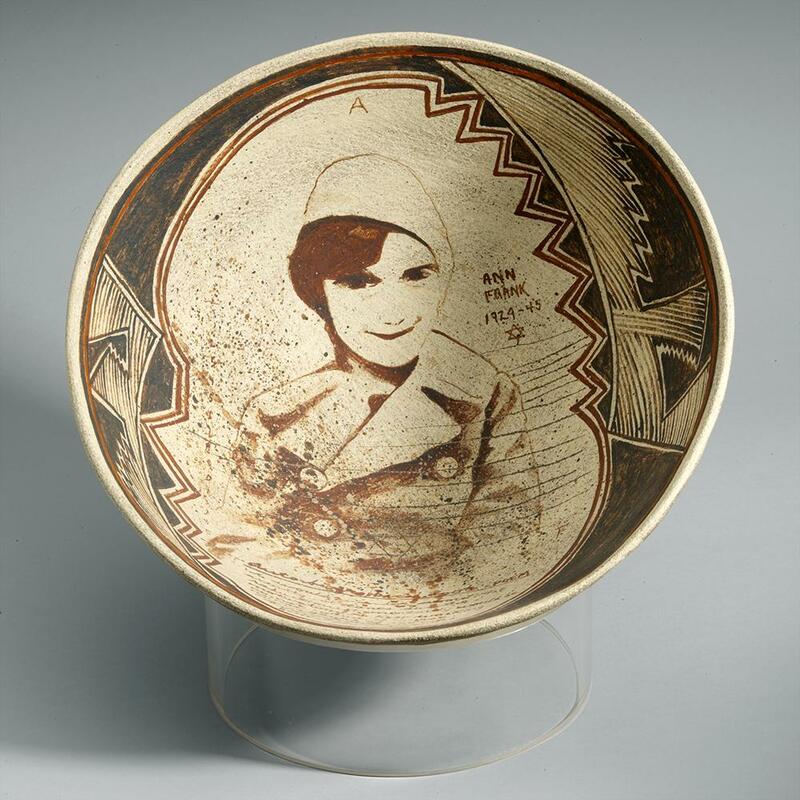 When approached in a competitive mode, the bowl becomes an easy and tired way of denouncing the colonizer: not only would it constitute an abuse of Anne Frank’s life and death but also a distortion of the pottery tradition into which Beam taps. So what does the bowl accomplish? What is there for the viewer to see and ponder? First of all, Beam’s representation of Anne Frank is not based on an iconic image of her, but departs from a relatively unknown photograph of Anne Frank as a young girl. This rejection of iconic representation emphasizes that Anne was multiple and alive; she was a human being with a life outside that of the Holocaust. Beam reconnects us to her; we meet her again as a girl, a five-year-old child, donning a happy smile, a cap on her head and wearing a sturdy jacket (see page 30). Another striking feature is that Carl has misspelled her name. This defamiliarizing element may likewise serve to resist the violence of representation which has reduced Anne Frank to a single meaning. But the viewer may also wonder why Anne Frank’s name is there at all, together with the years of her birth and death, and the star of David beneath them. With a shock we realize that these are the conventional Western markers of a grave. The bowl, we realize, is a symbolic burial place that bestows respect on a sweet, smiling, strong-looking little girl – a girl whose body was never identified and who never did receive an individual grave. In this context, Beam’s artwork becomes all the more powerful when we realize that classic Mimbres bowls were used in burial rituals: the bowl was placed on the cranium of the head, or covered the face. In most cases, these funerary bowls held a so-called “kill-hole,” a hole presumably made with a sharp object to provide a way out for the body’s spirit – an element that Beam chose not to add. The emphasis lies, as so often in Beam’s work, in bringing different worldviews together. Usually, this results in challenge and collision, but in the case of the Anne Frank bowl, the merger of different rituals for the dead impresses the viewer as a force that is meant to engender respect and a profound realization of human loss across human history, and the centrality of the human need for mourning. If we allow ourselves to follow Beam’s magic, crossing temporal, spatial, national, cultural and ethnic borders, it becomes possible to imagine the continued presence of the force, spirit and wisdom of the Mimbres of the ancient Southwest. In Beam’s artistic vision, the Mimbres have taken note of the occurrence, in the 20th century, of another vast tragedy at the hands of modernity, such as would befall the North American continent which they, by extension of Beam’s hypothesis, would likewise have witnessed. To imagine that they would respond to this vast tragedy of the mid-20th century, and bestow respect on Anne Frank, making a ceramic bowl for her to honor and assist her in the process towards an afterlife, is a powerful experience. Beam, one could argue, literally places Anne Frank inside a new realm of historiography and a new realm of commemorative practice: rather than engaging in a competition, it would seem that the bowl is embracing Anne Frank; it has encapsulated her, shields her, accepts her in the lap of an ancient group whose lives predated colonialism, but who – by extension of the same logic that they know Anne Frank’s fate and story – know the history of the Indigenous peoples of North America. It is often argued that the recognition of the Holocaust as a vast and universal tragedy for humankind has been important also because this recognition has enabled the articulation of other instances of human suffering and victimization. The funerary bowl that Beam made turns this argument the other way around. The Holocaust can be approached and remembered as part of a larger pattern set in the colonial period. Rather than using (or abusing) the Holocaust to articulate Indigenous suffering and victimization, as detractors might argue, Beam actually reverses the situation. 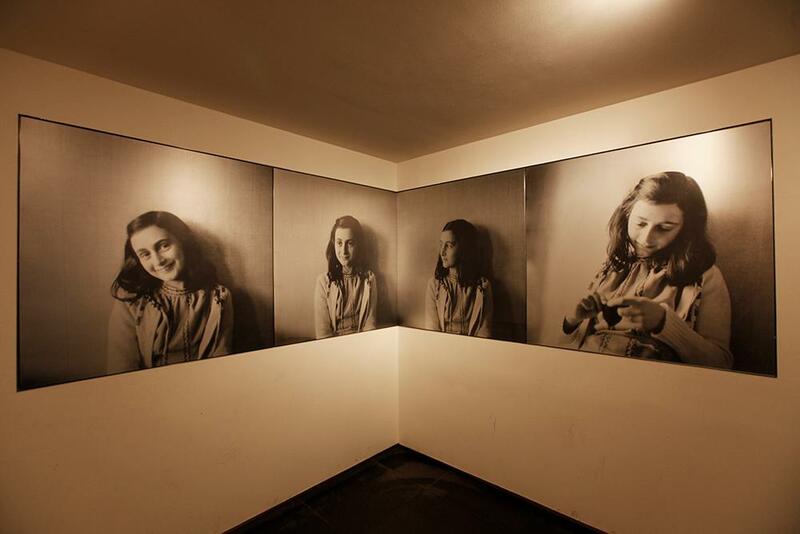 He evokes an Indigenous world as way to honor and memorialize Anne Frank, not as the icon carrying the terrible weight of a unique Holocaust memory, but as a human girl who encountered vast forces of unforgivable ignominy unleashed in the mid-20th century, a human victim deserving of respect and a proper burial ritual. This article is based on a presentation at the 39th annual American Indian Workshop, held at the University of Ghent, Ghent, Belgium, in April 2018. Carl Beam was born in 1943 in what is now M’Chigeeng First Nation, Manitoulin Island, Ont., where he died in July 2005. Beam attended the St. Charles Garnier residential school in Spanish, Ont., studied painting at the Kootenay School of Art and obtained his Bachelor of Fine Arts degree at the University of Victoria in 1974. His work includes painting, photo-transfer, etching, ceramics, performance, installation and more. Beam was involved in several important exhibitions of Indigenous art such as Beyond History in Vancouver in 1989, Indigena at the Canadian Museum of Civilization and Land, Spirit, Power at the National Gallery of Canada, both in 1992. A large retrospective of his work, containing 50 of Beam’s art works, Carl Beam: The Poetics of Being, was organized by the National Gallery of Canada in 2010, and travelled throughout Canada. The exhibition was installed at the National Museum of the American Indian in New York in 2012. 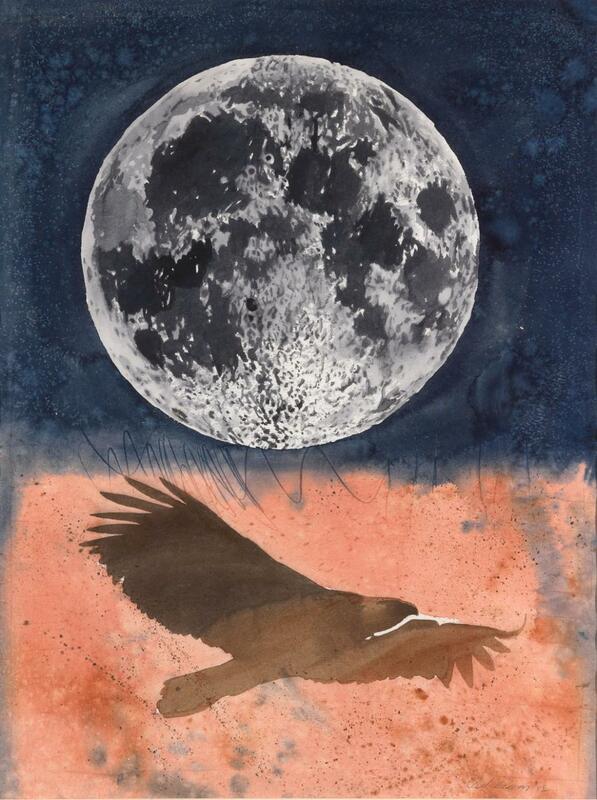 That same year the Museum purchased Beam’s mixedmedia work on paper titled Burying the Ruler (1992) for its permanent collection; in addition, the Museum holds a watercolor by Beam titled Eagle and the Moon (1982). Mathilde Roza is associate professor of American Literature and American Studies at Radboud University Nijmegen, the Netherlands.